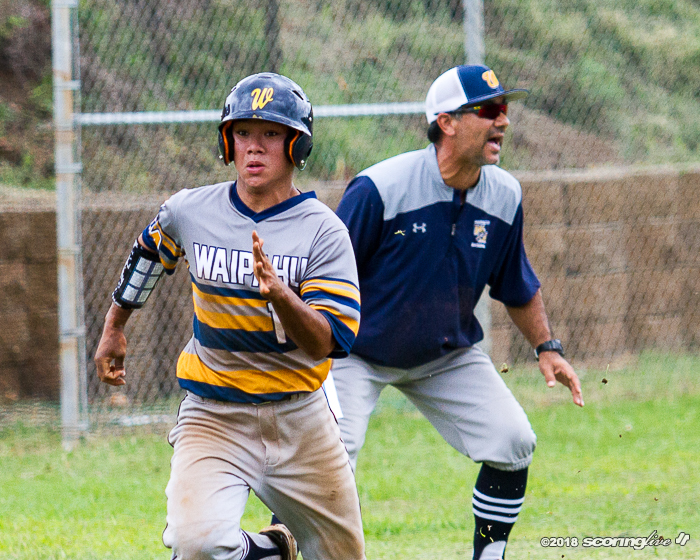 WAIPAHU — This one had all the makings of a fairy-tale ending. 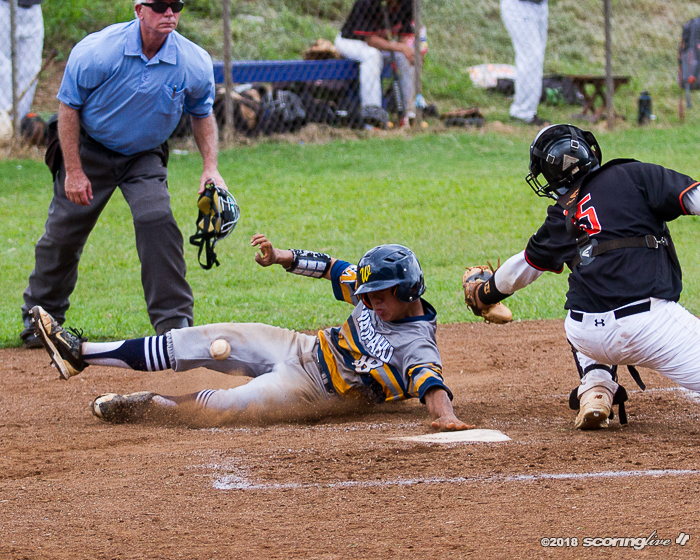 The Waipahu baseball team entered Saturday's contest against fifth-ranked Campbell in last place of the Oahu Interscholastic Association Division I West standings — and desperately needed a win to keep its playoff hopes alive. 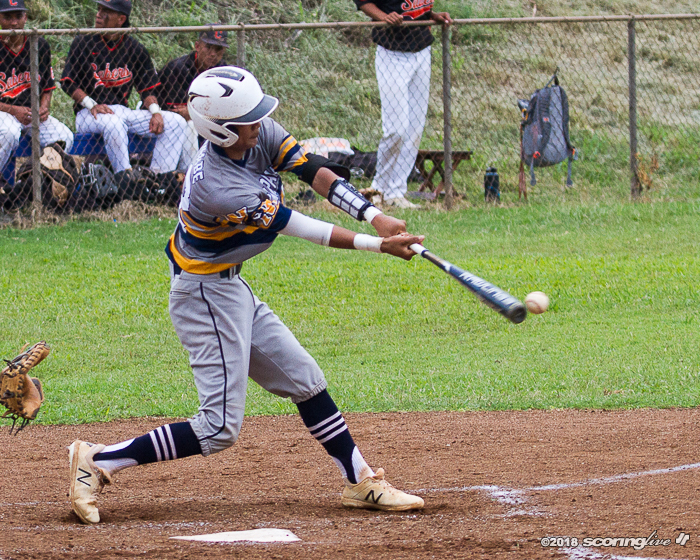 The Sabers have been the Marauders' nemesis the past six years, winning 11 straight games since Waipahu moved up from Division II after the 2012 season. 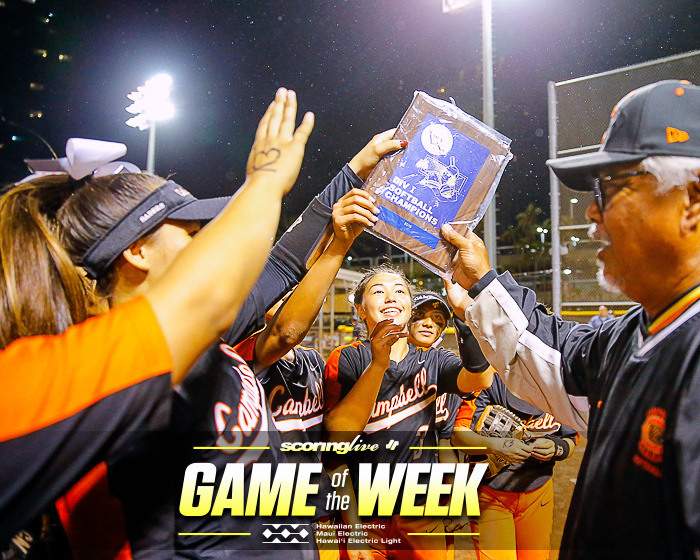 Campbell also won the previous three games between the two teams by a single run. 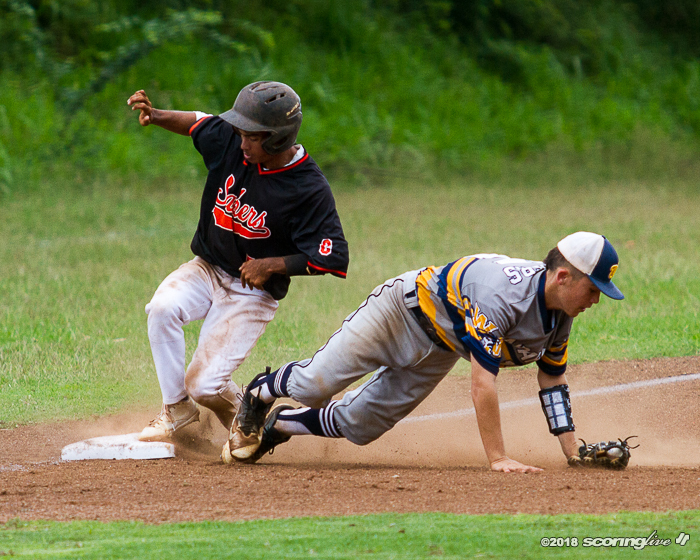 But the script appeared to be flipped on Saturday. 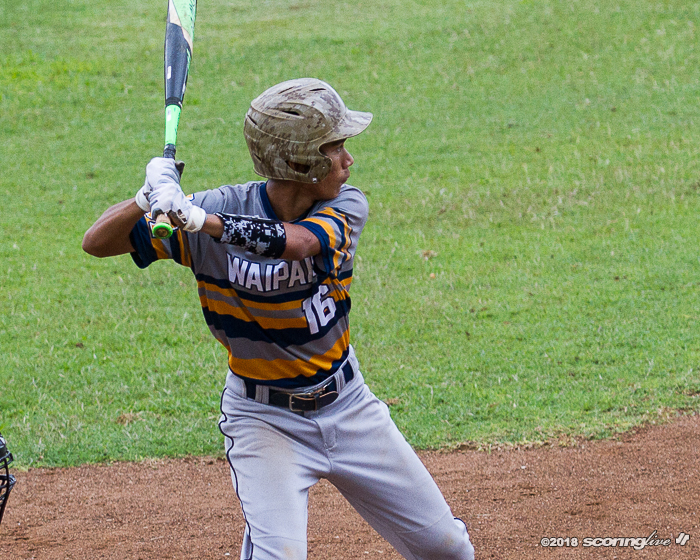 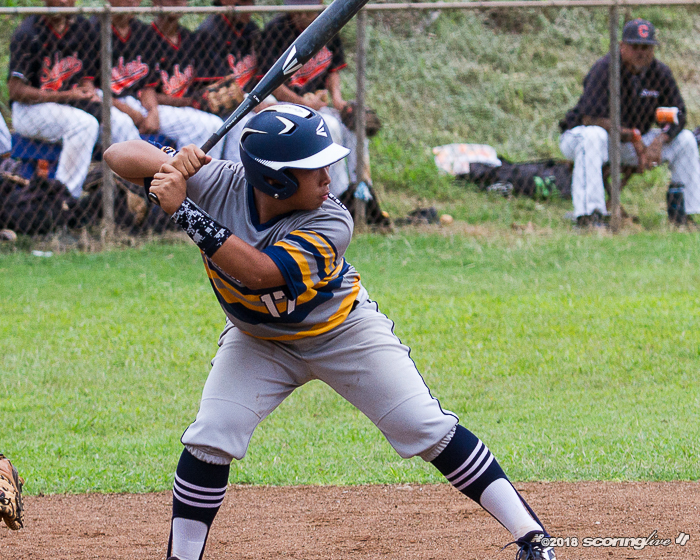 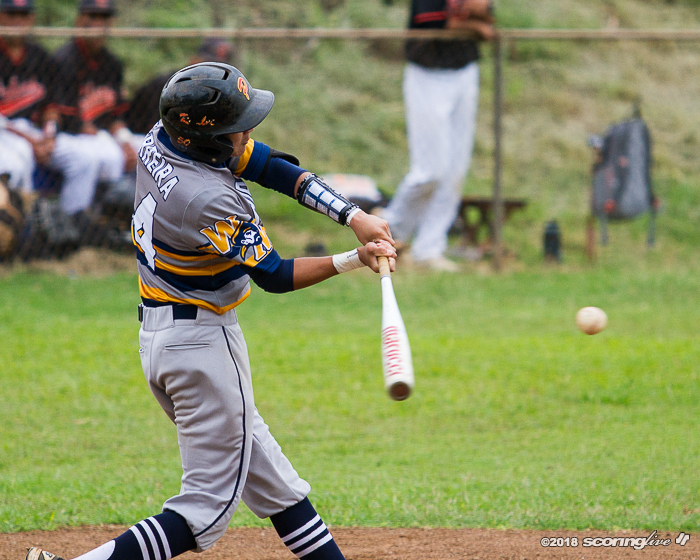 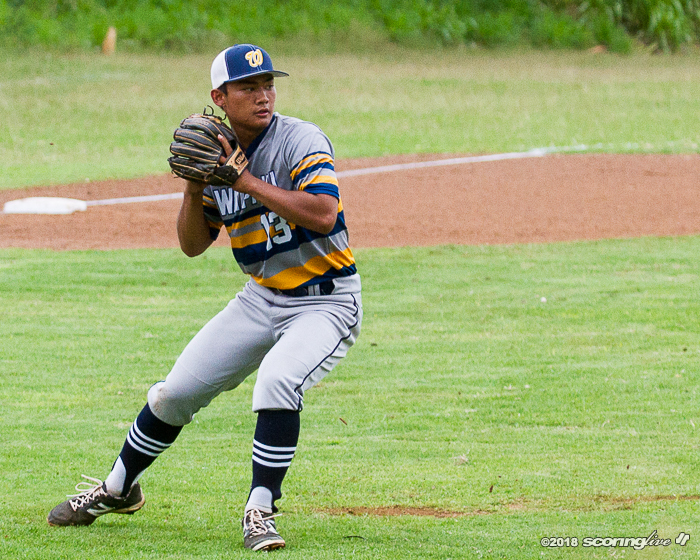 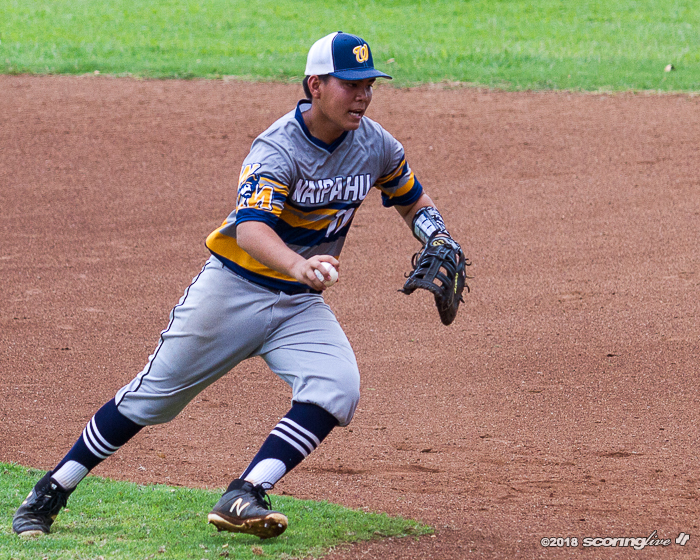 Waipahu was able to take a 2-1 lead after the second inning and held a 3-1 advantage heading into the seventh. 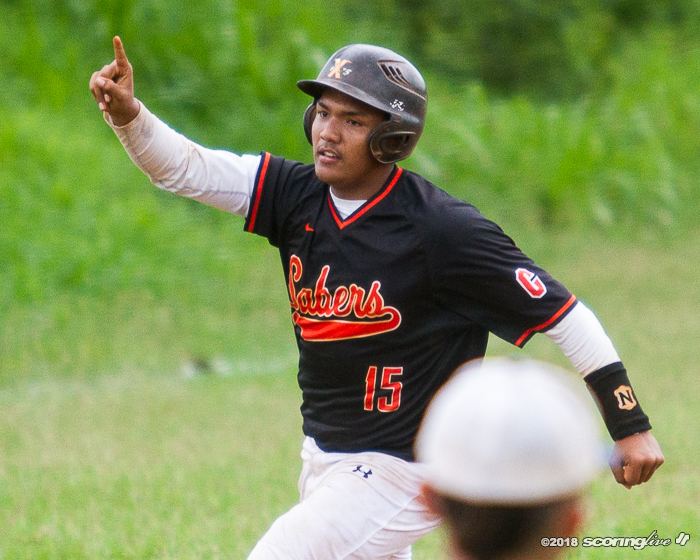 Then the Sabers brought the Marauders back to reality — and showed why they are a perennial contender to win it all. 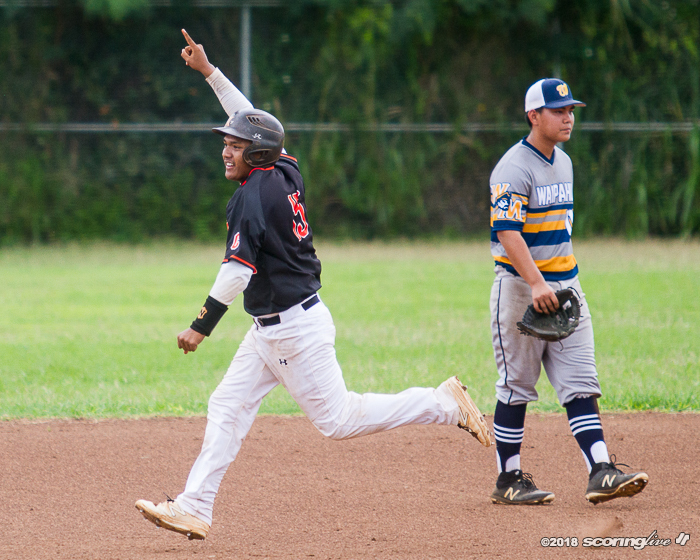 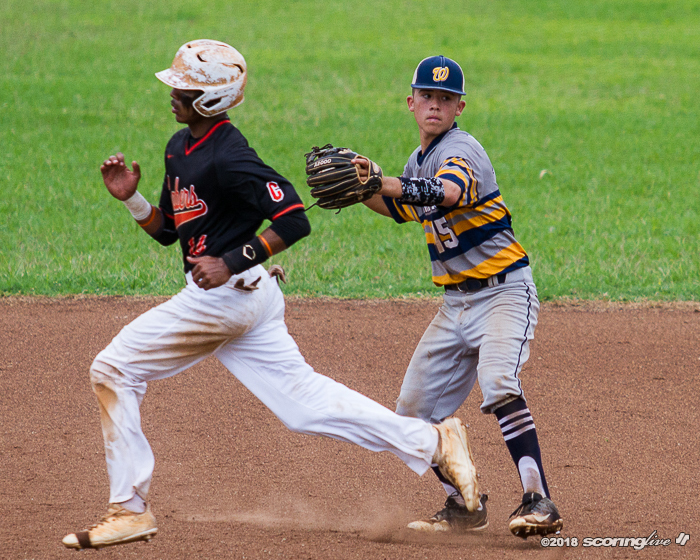 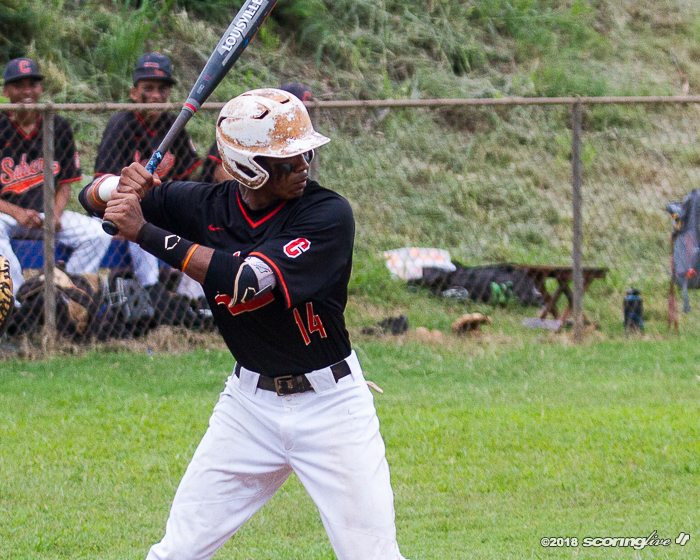 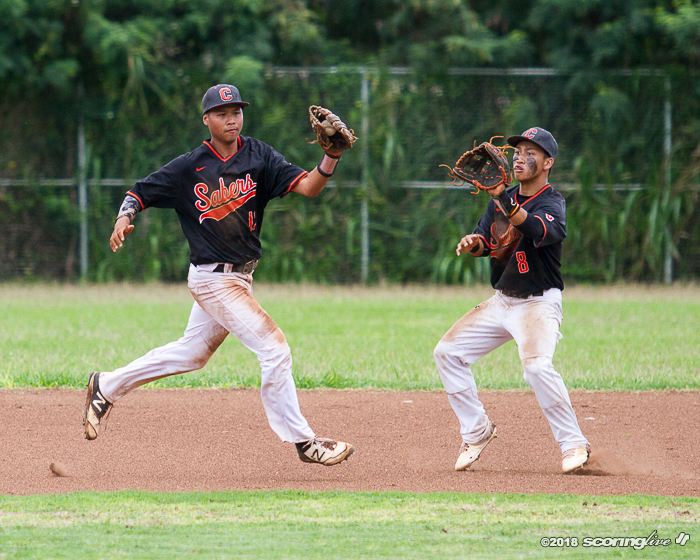 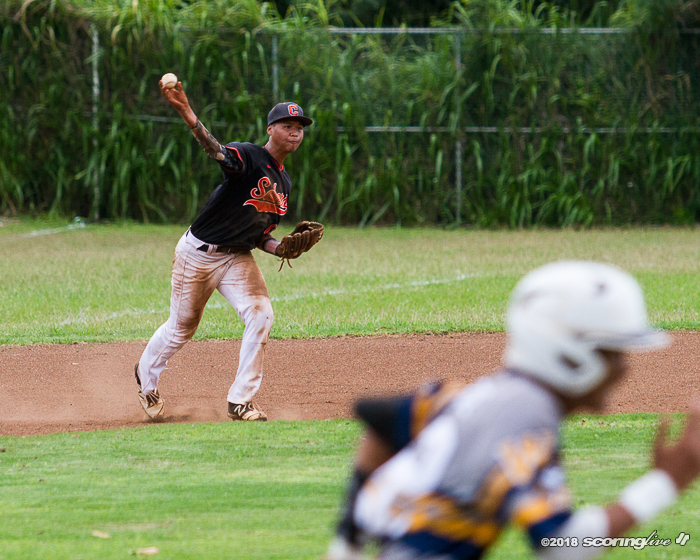 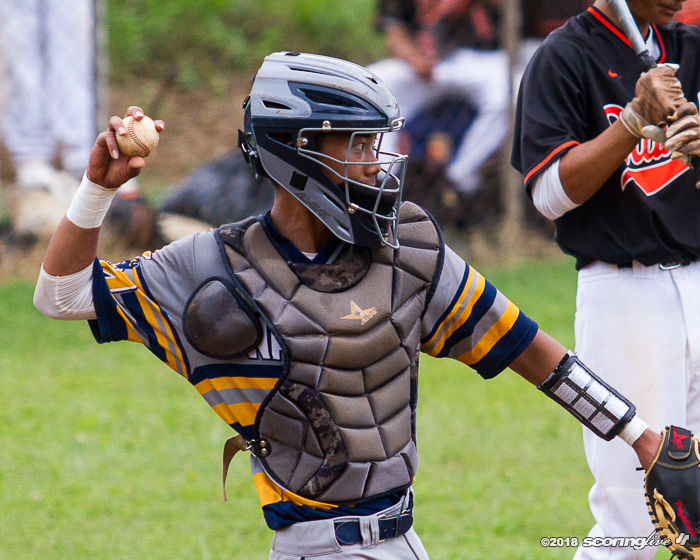 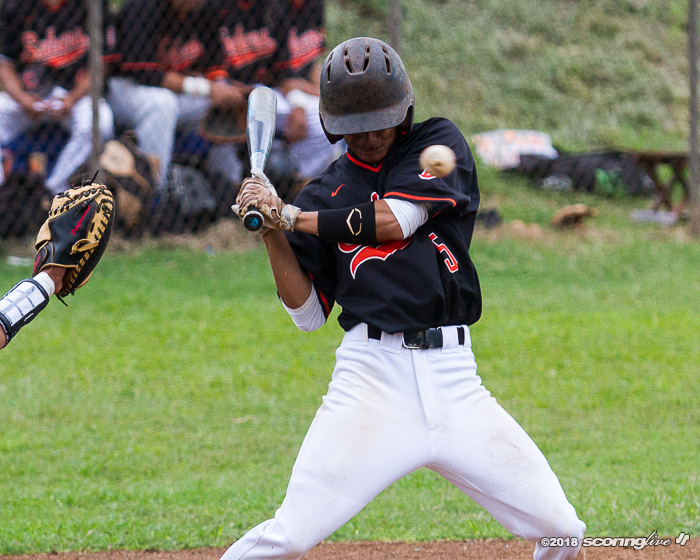 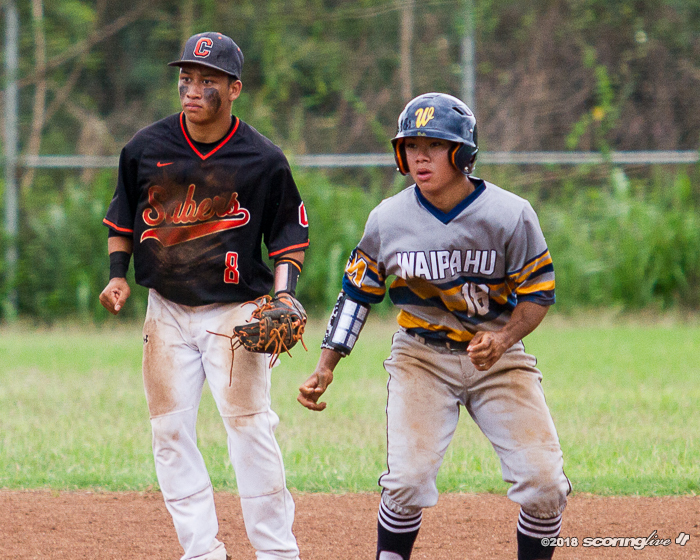 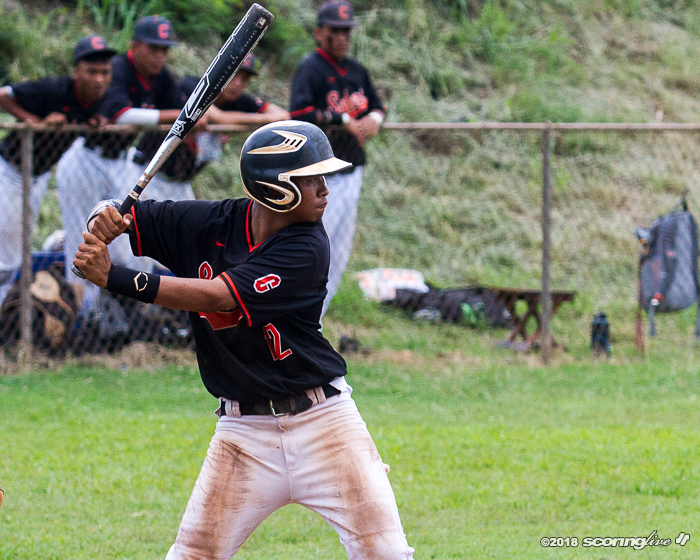 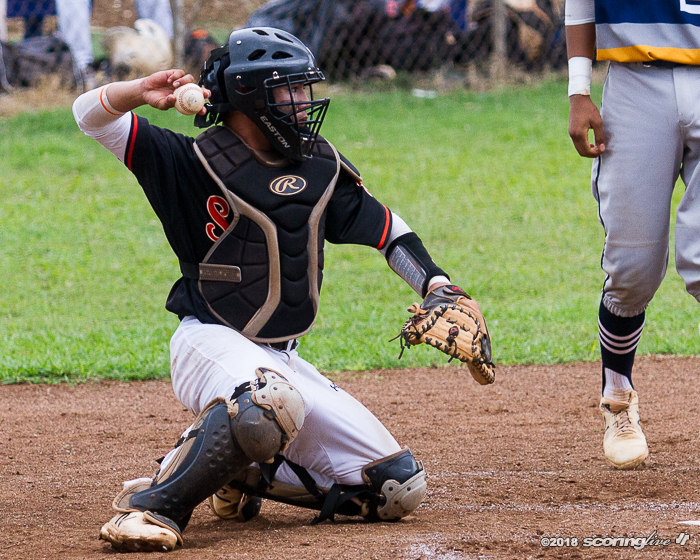 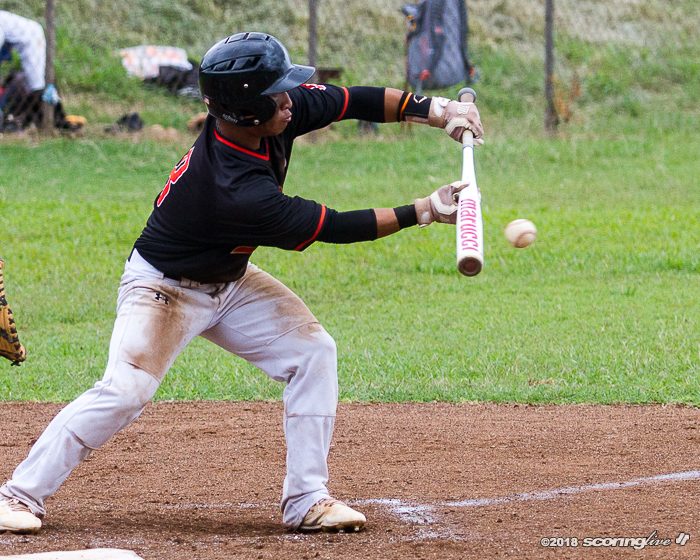 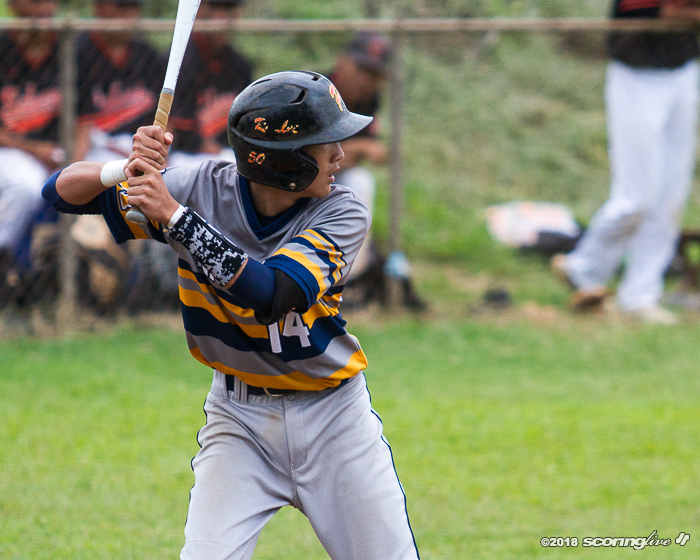 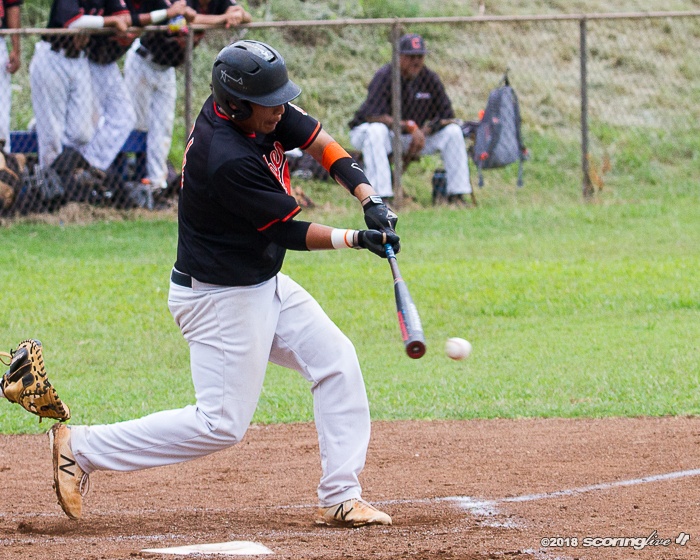 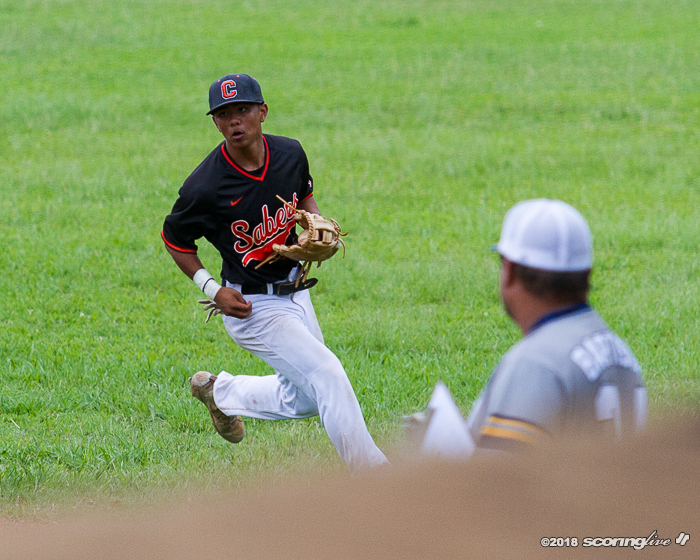 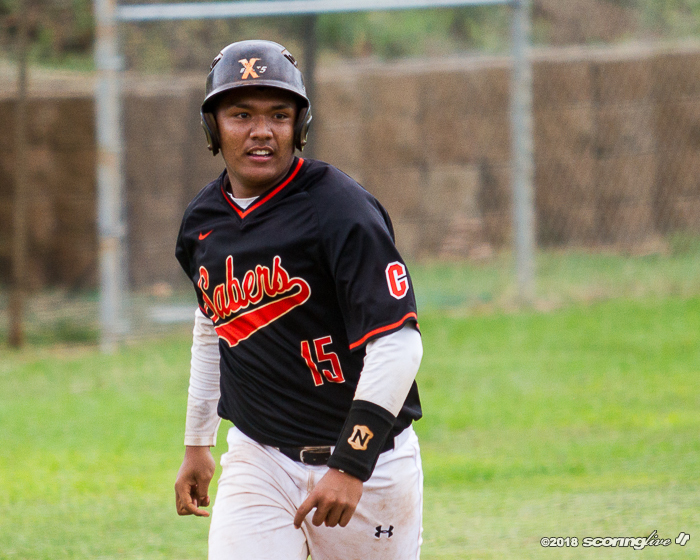 Visiting Campbell exploded for seven runs in the final inning of the game to rally past Waipahu, 8-3, to improve to 10-1 atop the league standings before a crowd of about 250 at the Masa Yonamine Athletic Complex. 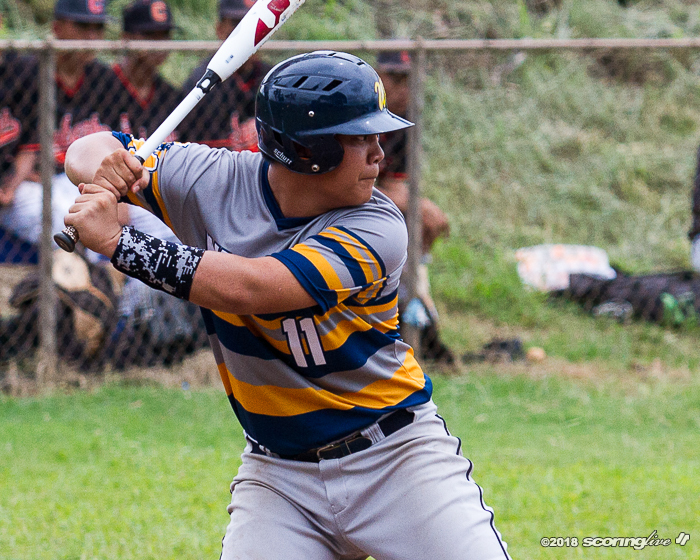 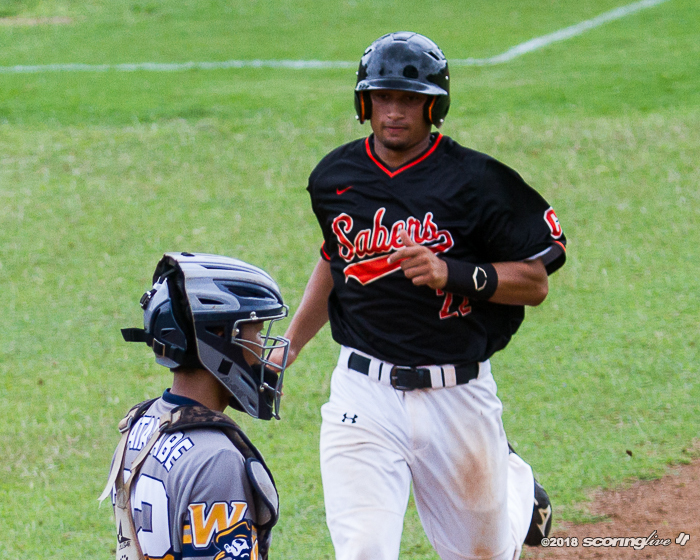 The Sabers, who already clinched the West's top seed in the OIA D1 playoffs, sent 10 batters to the plate and capitalized on three Waipahu errors in their big seventh inning. 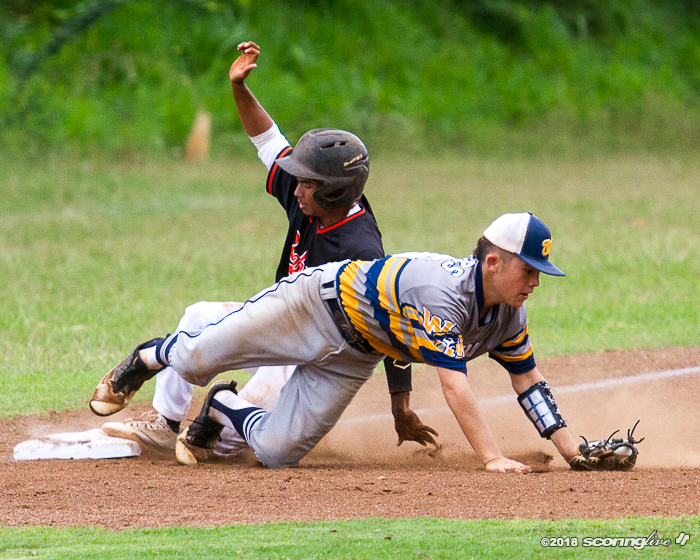 Campbell's Dayton Robinson reached on an error to start of the frame before Charles Monell and Ikaika Ganancial had back-to-back singles to load the bases with no outs. 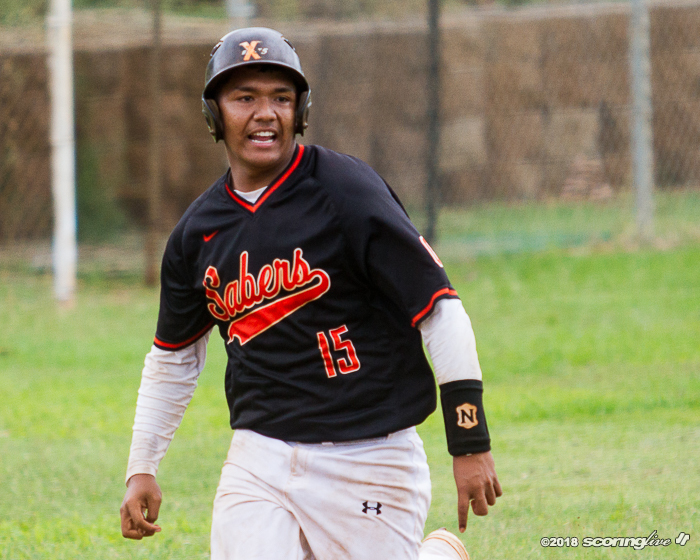 The Marauders got the force out at home on the Sabers' next at bat, but gave up runs in the following five plate appearances for Campbell. 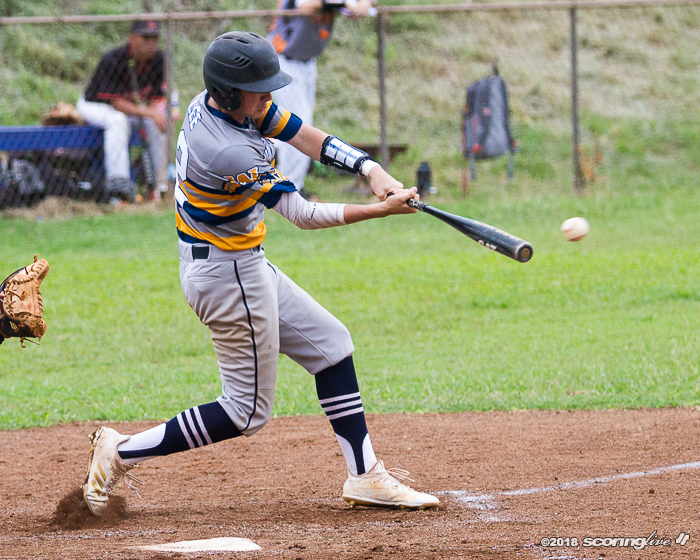 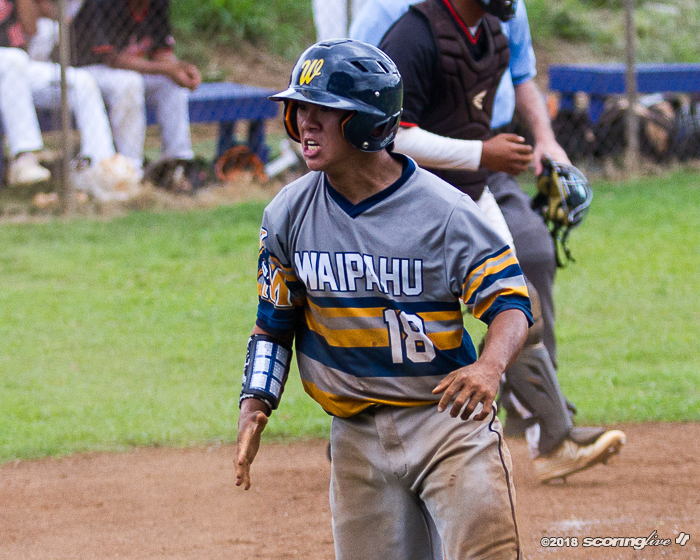 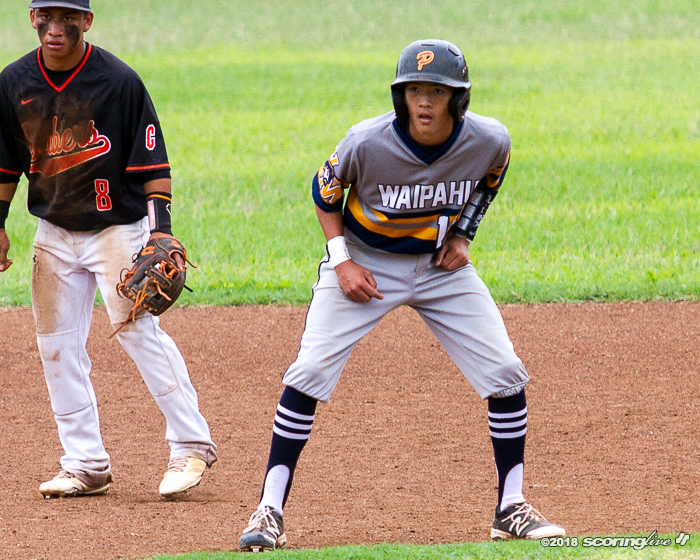 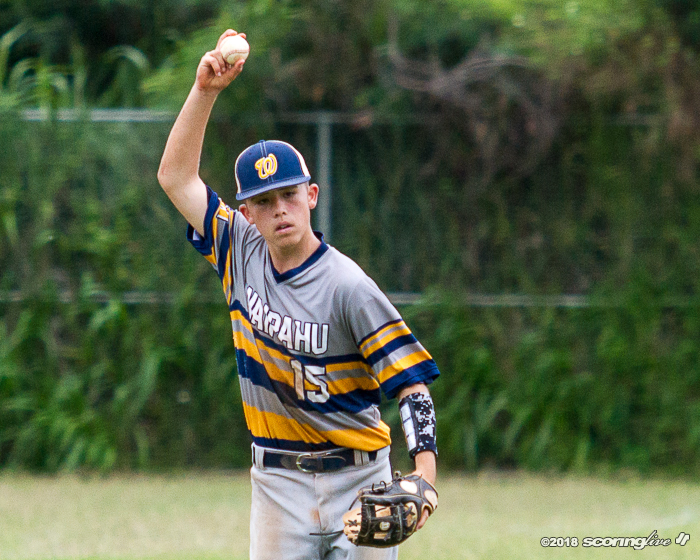 The Sabers scored their first run of the inning on an error by Waipahu's second baseman Cade Phillips, and took the lead two batters later when Nicholas Sampson came home after an error by shortstop Joshua Lee. 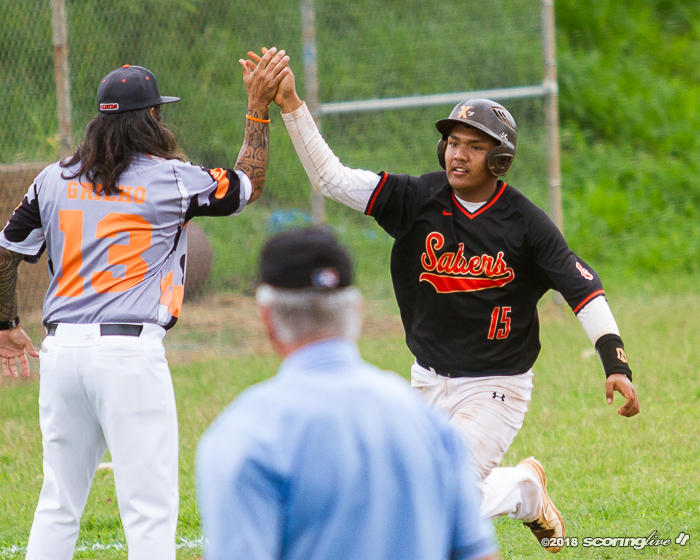 A sacrifice fly by Rory Escuadro gave Campbell a 5-3 lead before Dylan Ramon cleared the bases with a deep shot over the left field fence for the final point total. 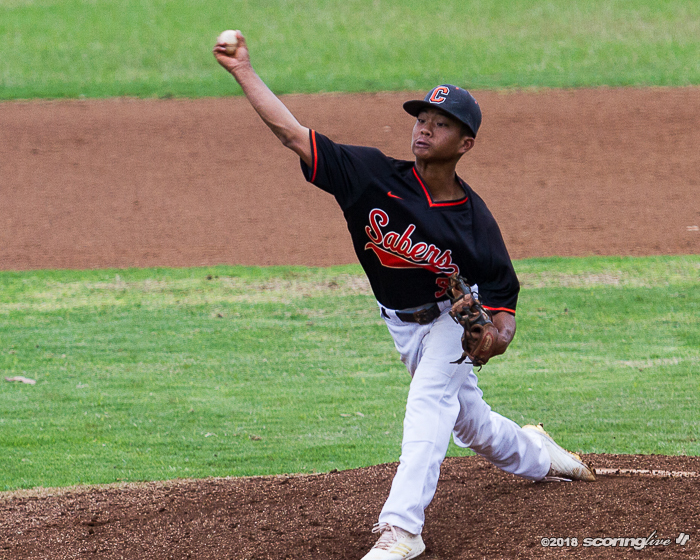 Freshman pitcher Tyrus Stephens came in to start the sixth inning to earn his first win of the season on the mound. 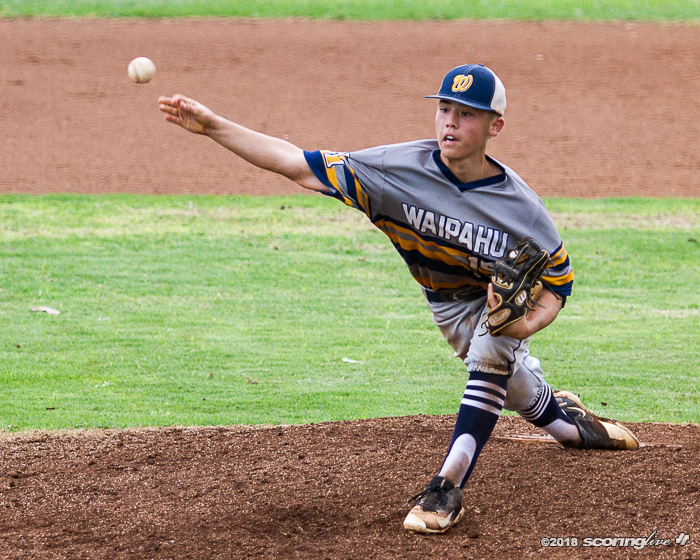 He faced four batters, striking out one and beaning another. 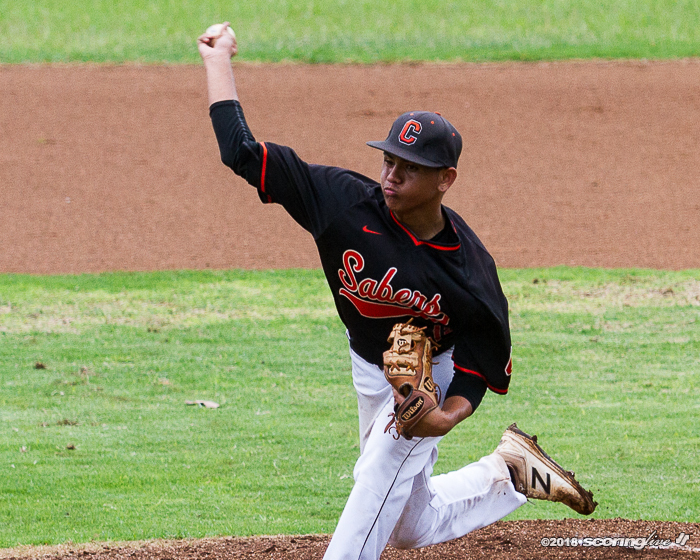 Campbell's Tyrus Stephens throws a pitch to plate against Waipahu in the bottom of the sixth inning. 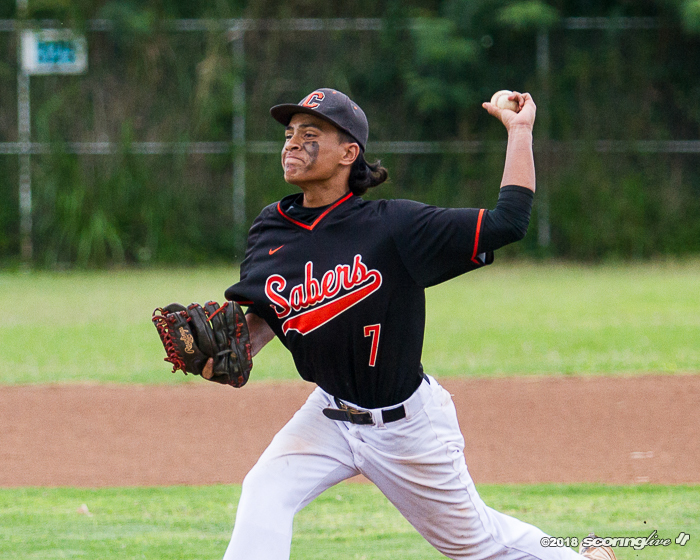 Robinson was the starting pitcher for the Sabers. 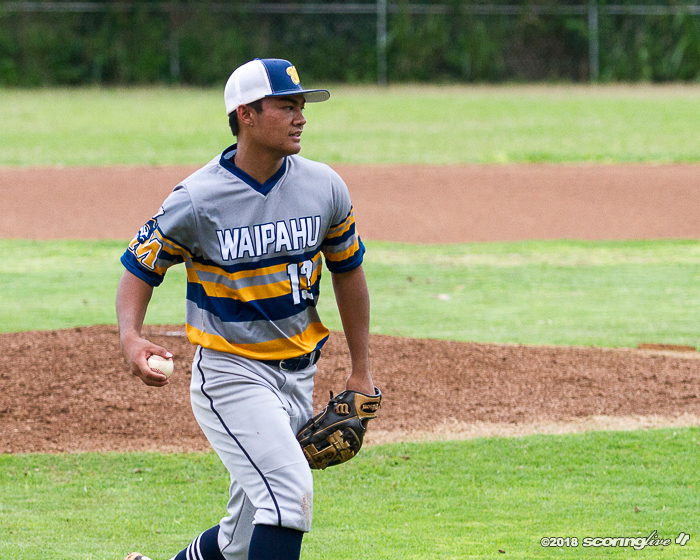 He gave up three hits with four strikeouts and three walks in four innings of work. 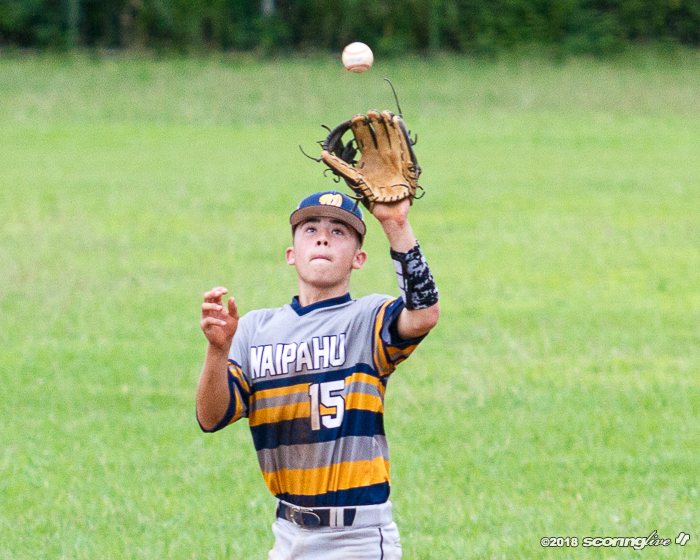 Zachary Palipti allowed a hit and a unearned run in the fifth and Jamin Kalaola sealed the deal in the final half-inning. 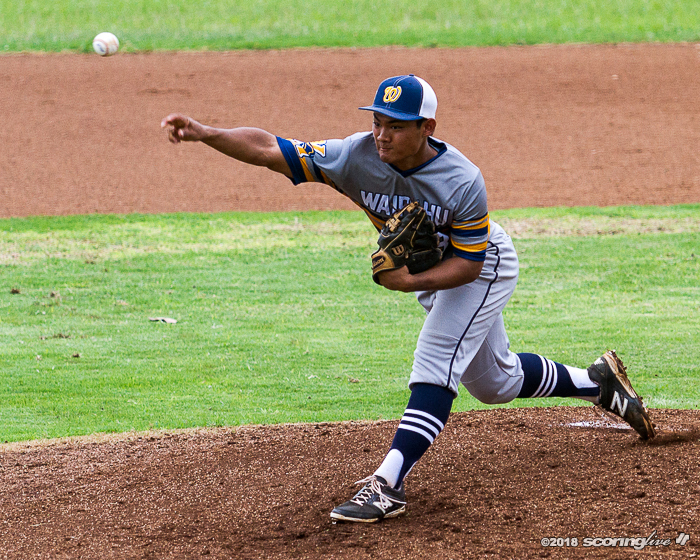 Waipahu's Seth Garcia was the losing pitcher. 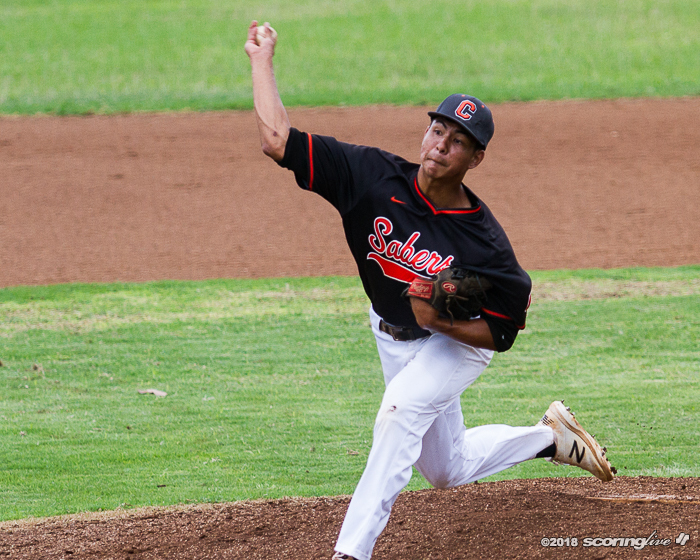 He threw 112 pitches and faced five batters in the seventh inning before getting pulled for Laakea Anders after Campbell scored its first run of the stanza. 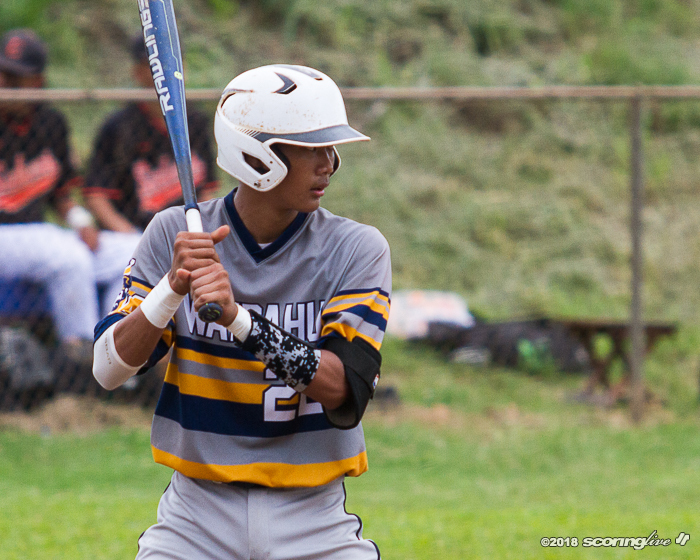 Lee, Radlee Ferreira and Gabriel Ballesteros all had doubles to lead the Marauders (1-9) at the plate. 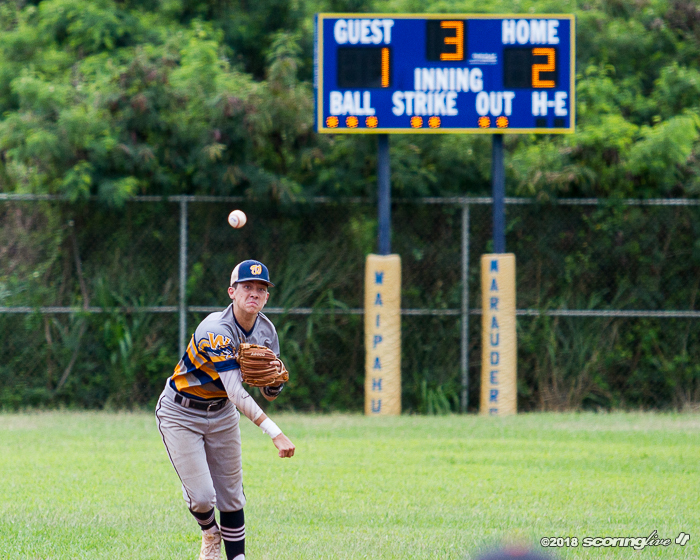 With Kapolei (2-8) losing to Aiea on the same day, the Marauders still have a slim chance at the postseason if they can win their remaining two games while the Hurricanes lose their next two. 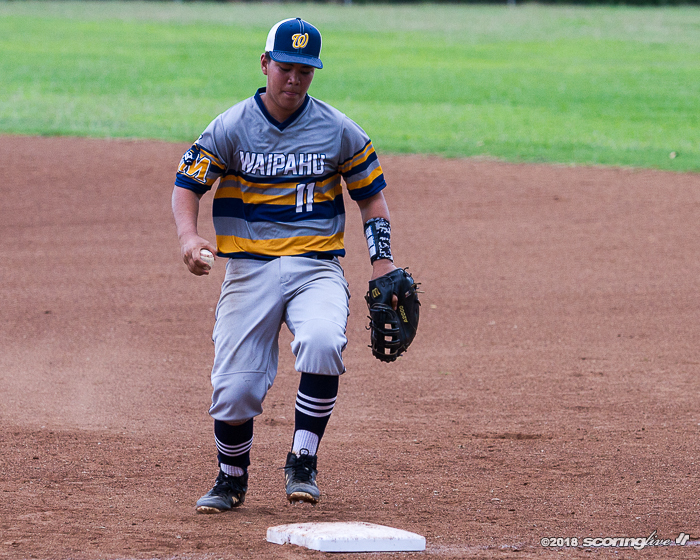 Waipahu closes the season on the road against Leilehua (6-5) next Wednesday and at home against Pearl City (6-4) on Friday. 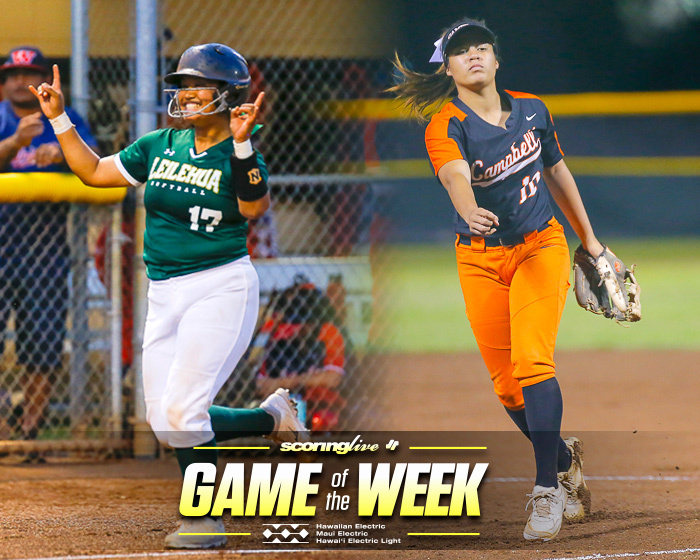 Kapolei travels to face the Chargers next and hosts Mililani (6-4) in the last game of the regular season. 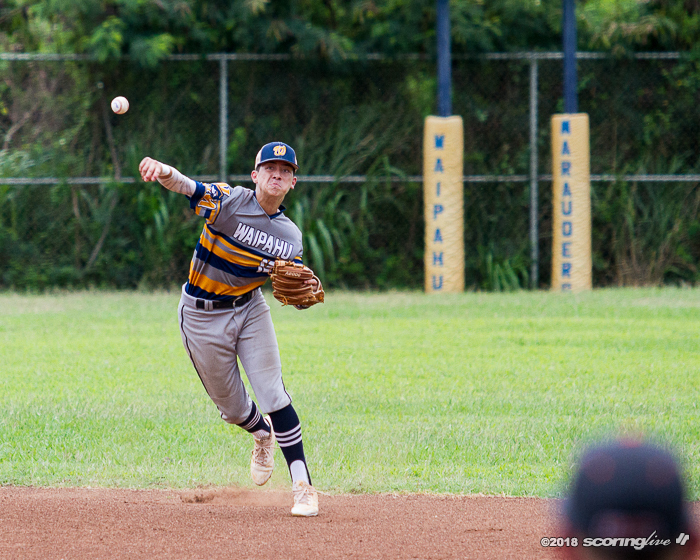 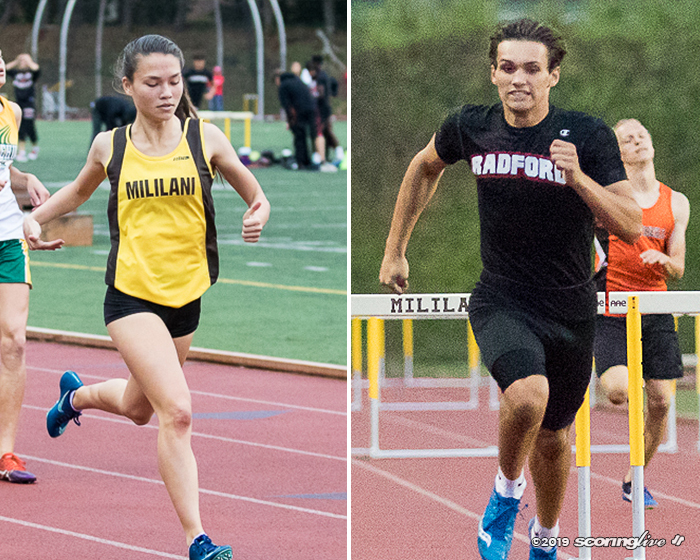 Because the Marauders and Hurricanes split the season series, neither team owns the head-to-head tiebreaker should the two teams finish with identical records. 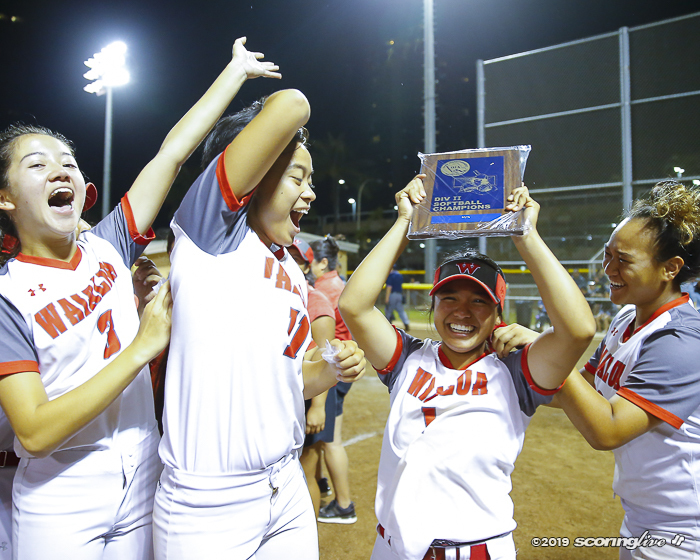 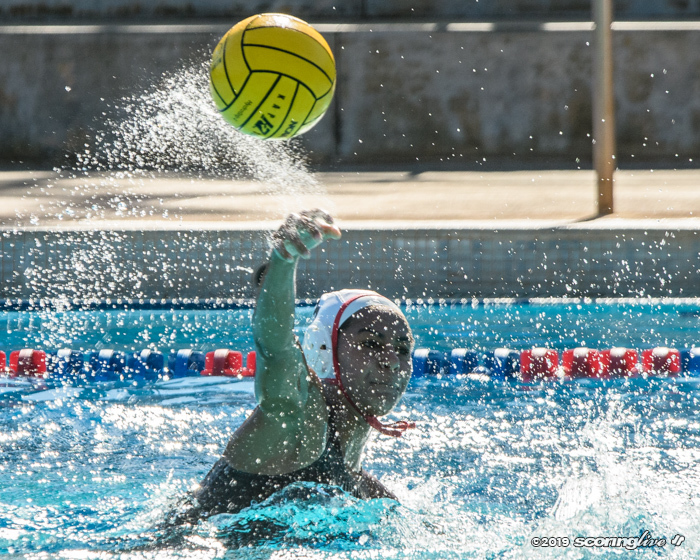 The next tiebreaker that the OIA uses to break ties is quality wins, which is based on the combined records of the teams they have defeated. 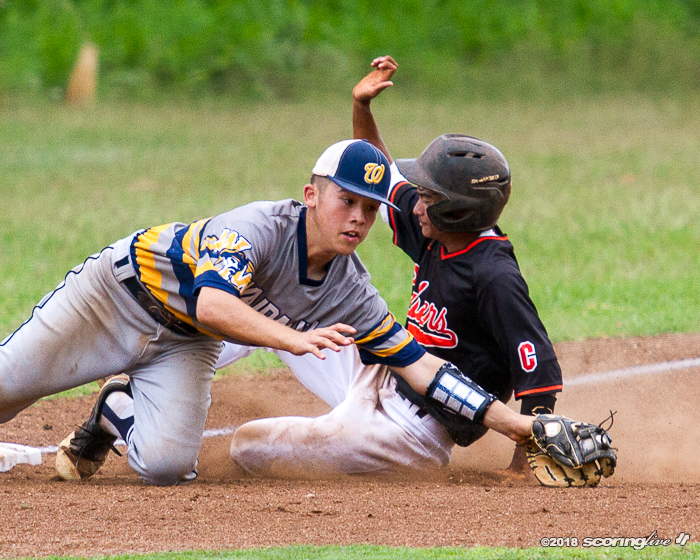 If the tie is still not resolve, there will be a coin flip to determine the final seed. 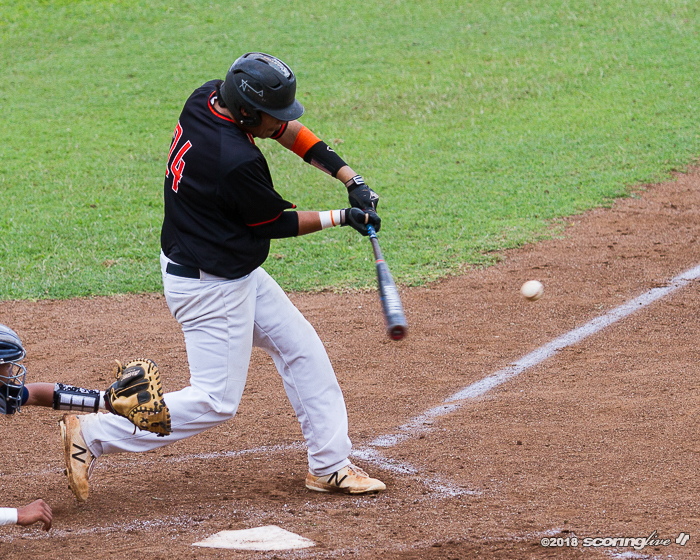 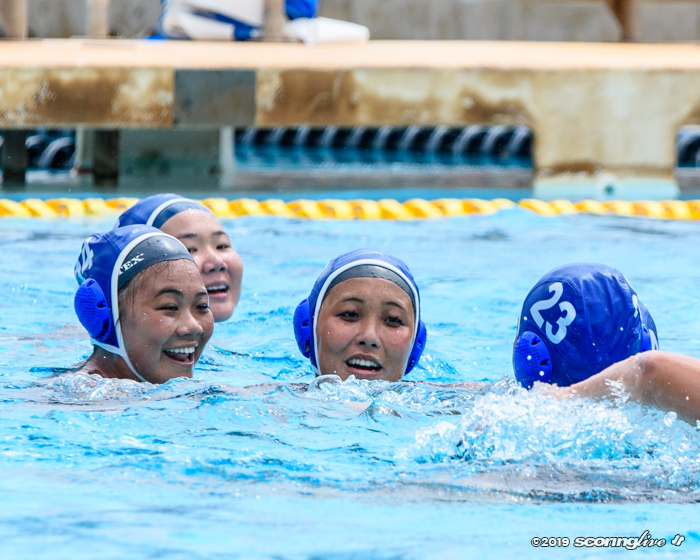 Kapolei's only other win came against the Mules.